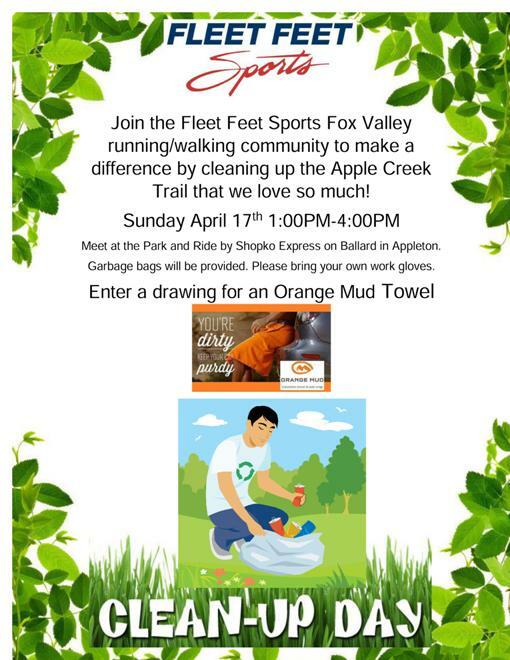 Join the Fleet Feet Sports running/walking communities, and help clean up the Apple Creek Trail that we love so much! Meet at the Park & Ride by the Shopko Express on Ballard Road in Appleton. Garbage bags will be provided. Please bring your own work gloves. Enter to win an Orange Mud towel!